Top 5 Interior Design Trends that will be huge in 2018! So 2017 has brought us quite a few different new ideas for making our homes more beautiful. 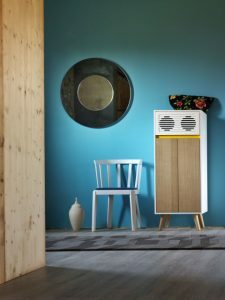 In the homeware and fashion game, we need to look forward into the future to these 5 big trends that will be BIG in 2018! 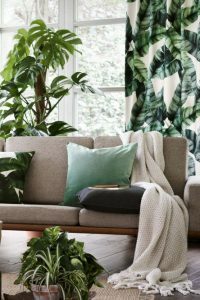 1 /Tropical leaf prints are going to be big in 2018! 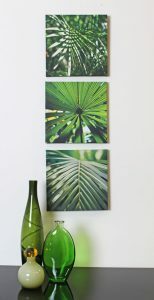 This is another example based on the tropical leaf theme. The colours of the jungle! Can really bring a rom alive and do not have to be mega expensive. With some creativity you can put together a stunning feature room based on a tropical theme for a very reasonable amount of money! 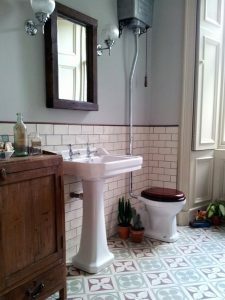 Or this bathroom which actually looks victorian but is actually using repro vintage bathroom suite items and ‘new’ old tiles. 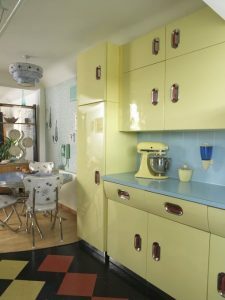 Lastly, this amazing 60’s style kitchen just oozes style and class!! This is one of our favourites but it does come with a disclaimer!! 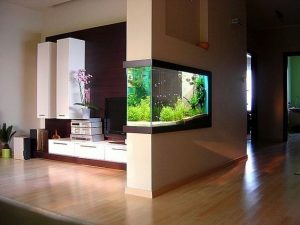 Tropical fish take serious effort to care for and also knowledge, so scaling down aspirations from the grandiose installations shown here may be wise so you can find your feet in the fish keeping world! 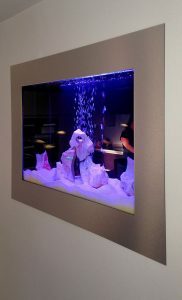 Regardless of the tricky logistics it undoubtedly makes a stunning centrepiece for any design focused home. Growing in popularity all the time is wood effect ceramics. 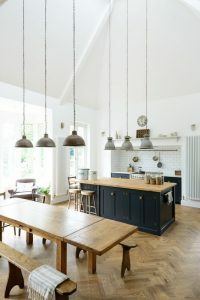 Ceramics offer a number of benefits over real wood but also come with potential drawbacks. 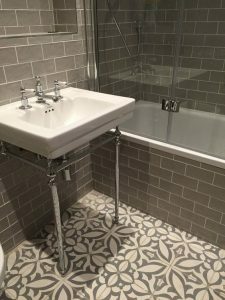 For flooring tiles are infinitely more durable if laid correctly and are also water resistant if the correct grout is used. This combined with the amazing ceramic designs and shapes now available means you can create a stunning centrepiece for a home with almost unlimited choices available in designs! 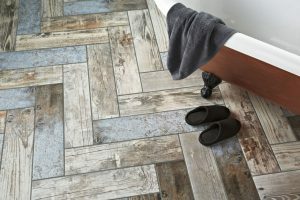 One thing to consider with wood effect ceramics, particularly for flooring is that by nature it is a cold surface, where as wood is a warm characterful material. So for many applications underfloor heating is a must unless you want a cold feeling room! This can be using electric heat mat or the more involved piped underfloor heating. Either way, floor temperature needs to be factored in before doing a huge wood effect tiled floor!